The French football club Lille has since the establishment in 1944 won the top division three times and the the most prestigous among the national cups three times as well. They have also won the UEFA tournament Intertoto Cup in 2004. 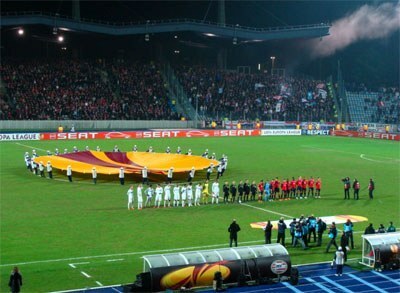 Lille vs PSV Eindhoven in Europa League 2011. Lille OSG did partake in its first UEFA competitions in 2001. In the most prestigious of the UEFA competitions, Champions League, they have as best reach the Round of 16.